based on 25 975 votes. 16 user reviews. Hit FM Moldova - Russian radio station, which is creating a huge network, and came to the capital of Moldova - Chisinau. 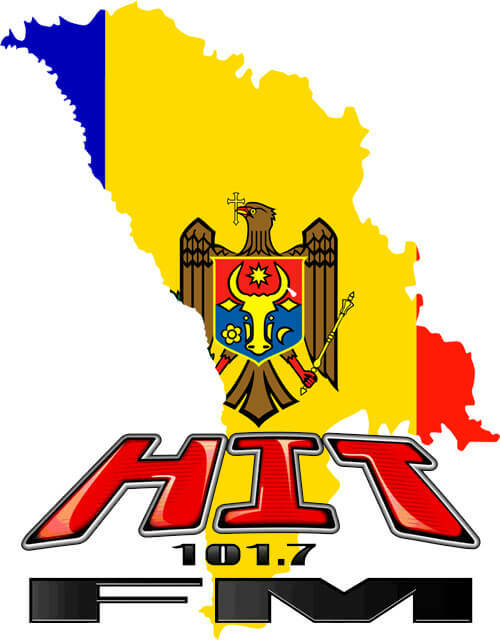 Listen Hit FM Moldova music fans in this city and just hams are on their receivers in the FM-band at a frequency of 101.7 MHz. Popular now wave began broadcasting in Moldova in 1999 - just two years after the launch of the first station of the same name in Russia. For a long time existence, it has managed to gather a huge core of regular listeners, which, in spite of all the competitors, inexorably growing every day. It is not surprising, since the basis of the music radio network, as well as in Russia, make up the best hits of dance and popular music, which has already got used to all Europeans. In addition, a common feature on the frequency 101.7 FM are also Moldavian style pop song that makes Hit FM wave even more attractive for the local population. Listen to music content in addition, take the lion's share of ether news and information units, a variety of talk shows, interactive programs, copyrights, educational programs, entertainment programs, contests, and more. Above all this team of professionals working from day to day. Appreciate the difference between this radio station broadcasting in Russia, Ukraine, and specifically, in Chisinau, you can use our resource - the largest internet radio portal in CIS bestradio.fm. We give you the opportunity to listen to Hit FM online from any point of the world for free, without registration and without downloads unneeded programs. Just listen to your favorite radio and enjoy the pleasant songs.